All you need to create and record music in GarageBand. 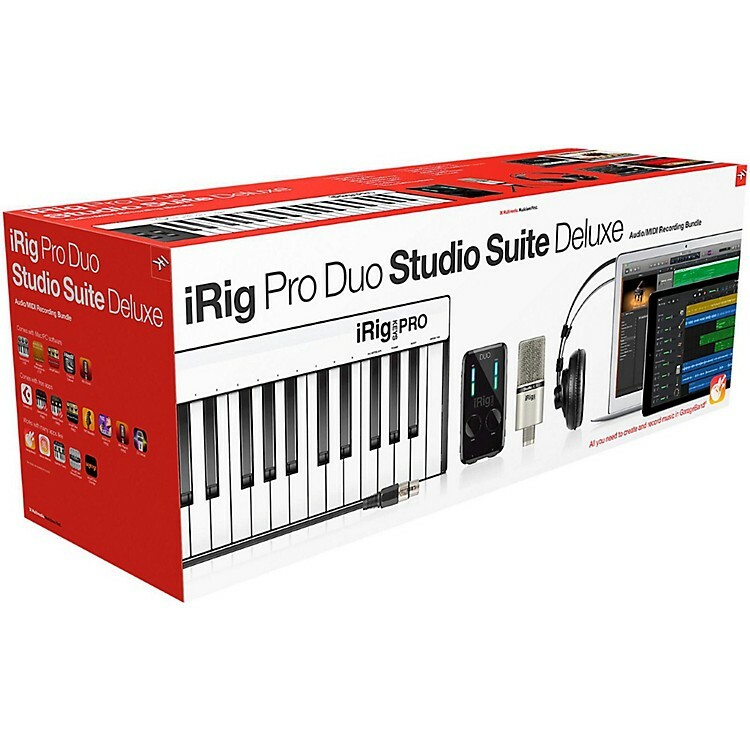 iRig closed-back studio headphones are the ideal design for monitoring while recoding without mic bleed. High output drivers deliver accurate, transparent and powerful sound, while the extended frequency response delivers rich bass and crisp highs. Adjustable headband for great fit maximum comfort for extended listening periods. AmpliTube 4 is a guitar and bass tone studio for Mac/PC that works as a stand-alone application and as a plug-in for your favorite DAW. AmpliTube recreates the entire guitar/bass signal chain from instrument to recording device, and does so in a very realistic and intuitive way.